The Phantom Planation Sullivans Thread Pack includes 62 colors (64 skeins) of Sullivans Floss (which includes 2 skeins of white and 2 skeins of black). 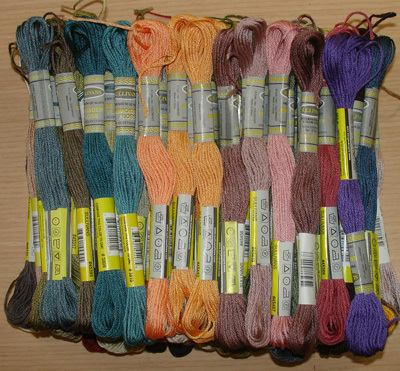 General Information: A total of 64 colors of Sullivans floss (66 skeins) are used in the model, Phantom Plantation. Two skeins of Black (45053) and two skeins of White (45002). For details on the individual color numbers and names, see the GP-257 Phantom Plantation Chart page.